The push to legalize recreational marijuana in Minnesota got off to a rocky start Wednesday at the State Capitol. Opponents and supporters of the potential legislation held competing news conferences and one of them ended in a shouting match. While Gov. Tim Walz campaigned on legalizing and decriminalizing marijuana, legislative leaders from both parties have said they will not rush to pass legislation this year. 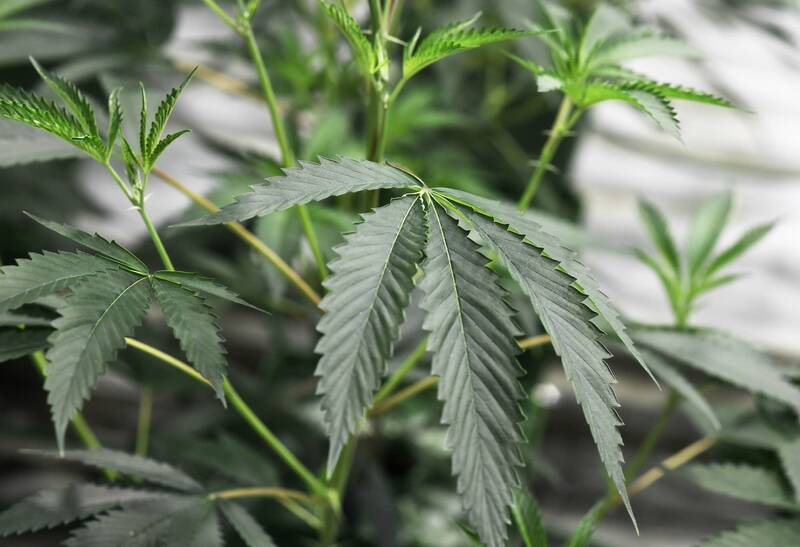 Health professionals and law enforcement officials involved in a group called Smart Approaches to Marijuana, Minnesota highlighted their concerns with legalization. "People are not interested in having pot stores in their neighborhood, across from their school, or opening their Sunday paper and finding several pages of marijuana ads," said Judson "Kim" Bemis. Sandy Melville, whose son was killed in 2010 by an impaired driver, warned of an increased public safety risk. "Legalizing recreational marijuana is not only a huge step in the wrong direction, this legislation refutes any concern our lawmakers say they have for the safety and health of Minnesota citizens," Melville said. Supporters of legalization were also in the room and repeatedly heckled Melville and other speakers. The news conference became increasingly confrontational. After the news conference broke up, Jason Tarasek of the Marijuana Policy Project said he is working with lawmakers to pass a legalization measure this session. Tarasek said the hecklers are not part of his group's efforts. But he said he was glad their voices were heard. "A lot of these people don't have ready access to a podium and a microphone," he said. "They got their message out today, and I applaud them for that." Tarasek said he is working with state Rep. Mike Freiberg, DFL-Golden Valley, and Sen. Melisa Franzen, DFL-Edina, on a legalization bill, but so far no legalization bill has been introduced. Another pro-marijuana organization, Minnesota Campaign for Full Legalization, held its own news conference, which attempted to further counter many of the claims made by opponents. The group's executive director, Marcus Harcus, said marijuana prohibition has not prevented its use. "We have to live in fear of being criminalized and potentially losing everything over a healing plant that has never killed a human being in the thousands of years of known human use," Harcus said. Asked about his position Wednesday, Walz said he wants to move on marijuana as fast as Minnesotans are comfortable. "If those discussions are all able to, which I think they can, be done, and there is satisfaction that we've explored all of the alternatives and all the pros and cons around it and crafted a good piece of legislation, then, yes I think we should go ahead and start moving," he said. "Because this is going to take time to implement."